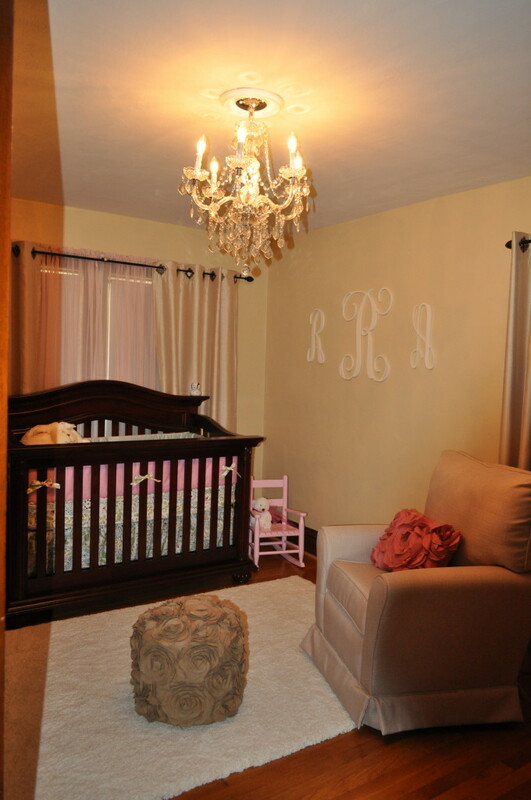 With the upcoming arrival of our newborn baby girl, I was so excited to prepare for her room. I wanted something that could easily transition from "baby" to "big girl", & I think I accomplished just that. Glider - I think the fabric was a perfect neutral & VERY comfy...spent many hours in it. You don't have to spend a ton of money to get designer type looks. Most of my items were found at stores such at Tuesday morning, Home Goods, Marshall's or Hobby Lobby. Also, think outside the box....just because it's not in the baby section of a store, doesn't mean you can't use it. Gorgeous room with lovely little accessories and accents. I love the touches of old rose.